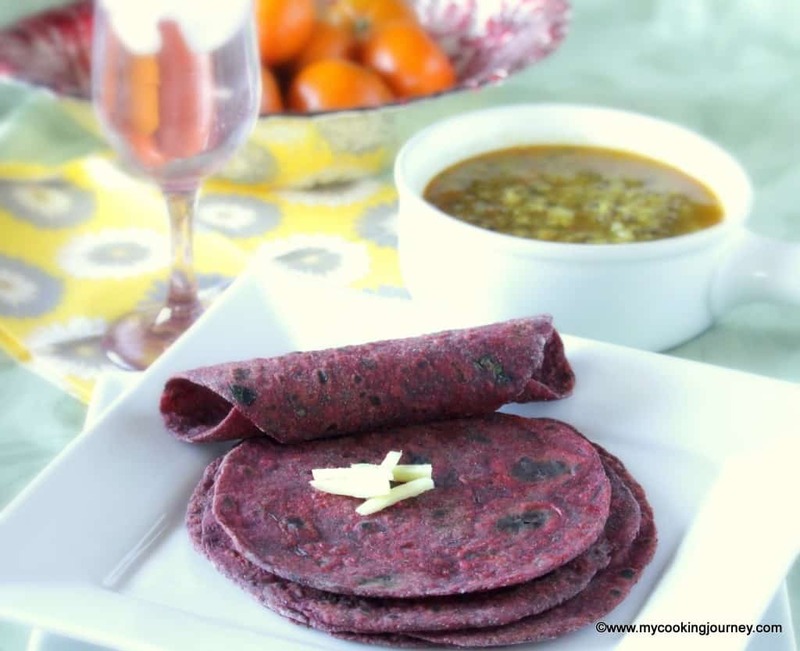 Just in time for Valentine Day, I have made these really delicious and healthy Beetroot paratha. 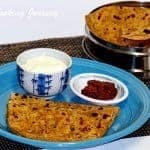 This is such a lovely lunch box paratha that is very attractive and also very healthy. 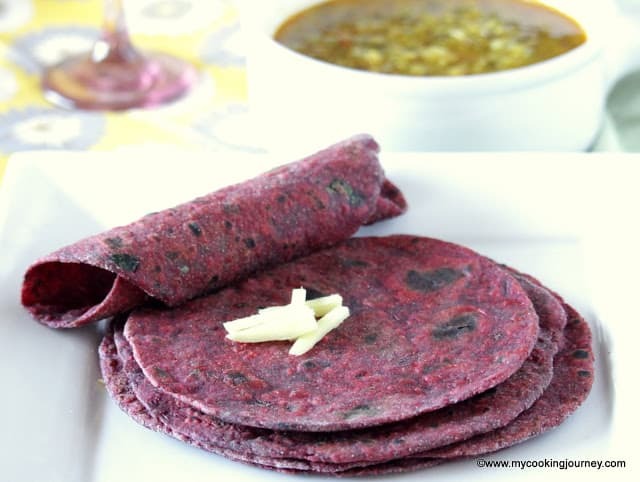 I always liked beets and the only thing I have ever eaten growing up is beetroot curry/poriyal. 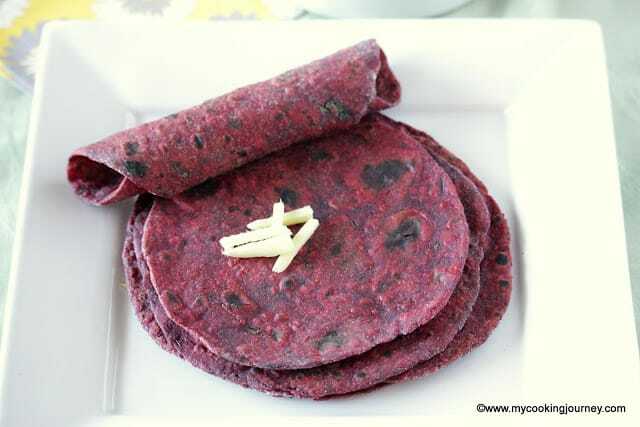 Blogging definitely helped me look beyond the regular and I now make few other dishes using beetroot. 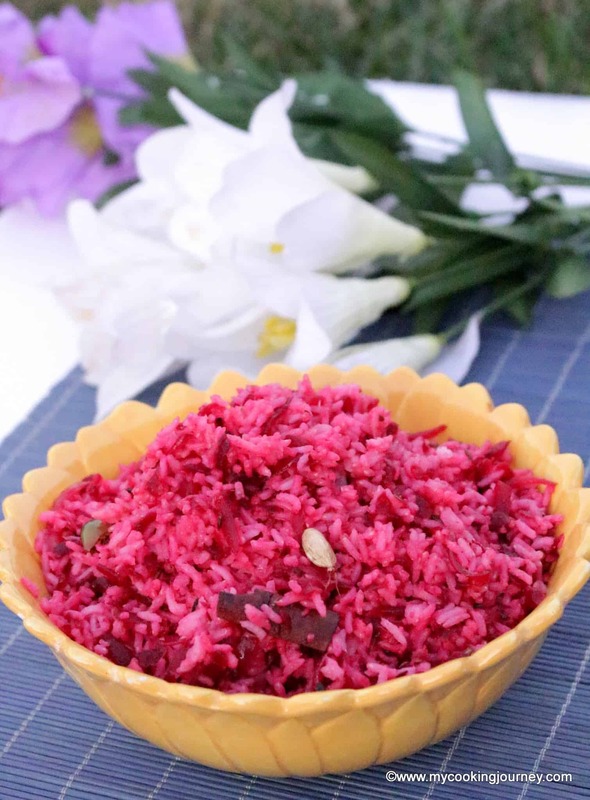 Beetroot rice is yet another very attractive dish that has a lovely light pink color to it. 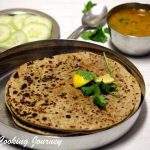 I have added few masala powders in the dough and also some fresh cilantro to add flavor to the paratha. 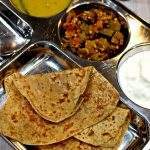 It really did not need anything on the side, but I served it for dinner with some moong dal. 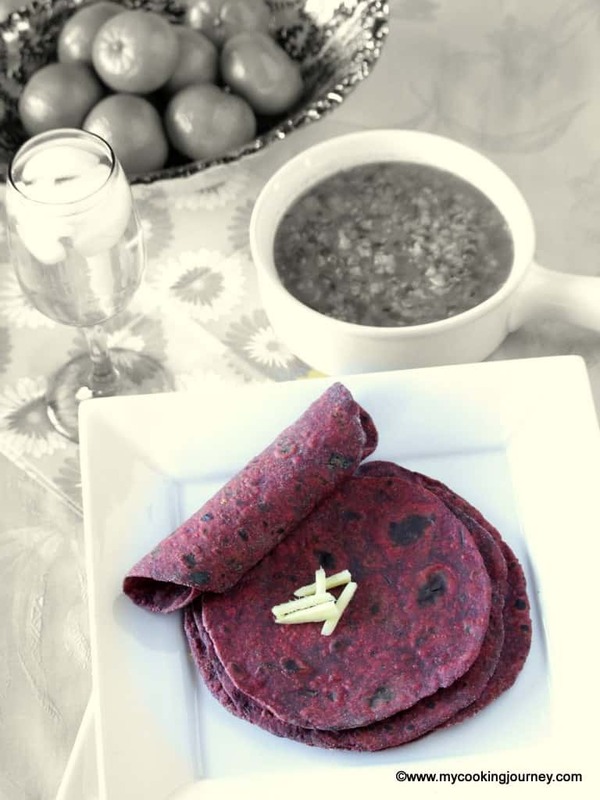 Treat your kids this weekend to a valentine theme lunch with these pretty and healthy parathas. 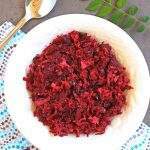 Cook the whole beetroot in a pressure cooker for about 3 whistles. 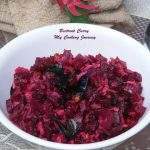 This is an easier way to chop/grate beets as they peel very easily and also they are cooked uniformly. The peel the skin and grate the cooked beets finely. 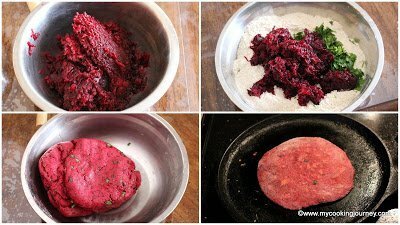 Measure the dough and then add the grated beets along with the masala powders, salt and 2 tsp oil. Mix well using your fingers. Since the beets have quite a bit of moisture, make sure that you mix it well before adding any more water. Then slowly sprinkle some warm water and make soft dough. 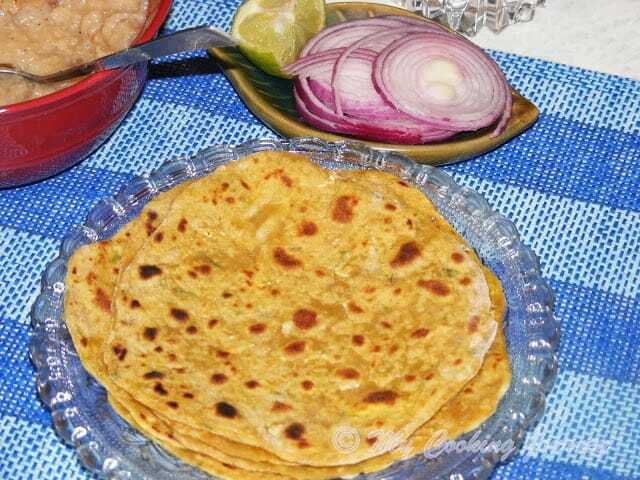 Let the dough rest for at least an hour before making the parathas. 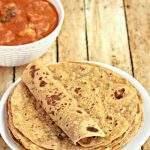 Pinch out even sized balls and then roll into paratha. Cook on the griddle applying oil on both the sides. 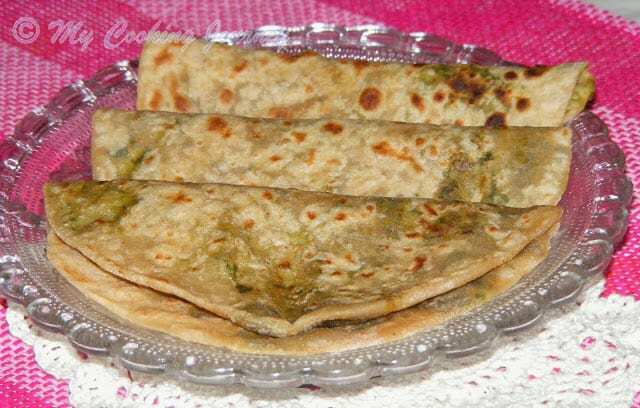 Because of the color, it is hard to see when the parathas are cooked. So make sure you cook them on medium heat and watch for dark spots to appear on the surface. 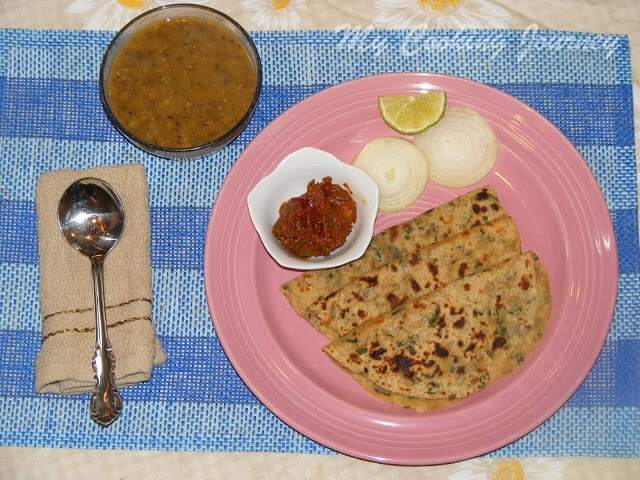 Keep the cooked parathas warm until ready to serve. Can I make this totally oil free on a non stick pan? Yes you can make it oil free.